The stress of owing the IRS can be overwhelming. The ever-present threat of having a lien placed on your assets, the fear every time you check your bank account to discover it has been levied dry, the strain of having the IRS garnish your monthly wages; these are just a few of the things that millions of Americans go through every day. 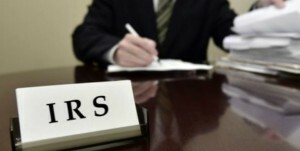 Now, the IRS has made further changes to crack down on Americans who have not paid their taxes. As of February 2018, Americans who owe the IRS more than $50,000 are at risk of having their passports revoked. If you have unpaid taxes owed to the IRS, it is important to either pay your balance in full or go on a monthly installment agreement in order to avoid having these travel restrictions placed on you. The State Department is now working alongside the IRS to not only revoke existing passports but to also deny any passport application for those with seriously delinquent tax debt. (If you are overseas and your passport is denied, the State may issue a temporary passport that has limited validity to return to the United States.) Essentially, until the tax debt is settled with the IRS, people will be placed on this new “No Passport” list. There are a few exceptions to be aware of. You won’t be at risk of being placed on the “No Passport” list if you are currently going through bankruptcy, if the IRS acknowledges you have been the victim of identity theft, or if there is a natural disaster declared on a federal level. You may also be able to keep or renew your passport if you have a request pending for an installment agreement, have a pending offer in compromise with the IRS or if the IRS has accepted an adjustment that will satisfy your debt. And if you are placed on the “No Passport” list, the IRS will hold your application for 90 days to allow you to resolve your tax liability, pay your balance in full or enter into an installment agreement before revoking your passport. This is yet another sign that the IRS is escalating their collection efforts against Americans who have unpaid taxes and another reason for you, as a taxpayer, to stay current and compliant with their IRS filings. If you are in the unfortunate situation of having delinquent IRS debt, it is wise to speak to a qualified tax professional who can help you evaluate your options sooner rather than later. Because when it comes to owing money to the IRS, delaying is almost always a losing strategy. For more information regarding on the IRS passport revocation and denial policy, click here! It is indisputable that the Internal Revenue Service is one of the most powerful collection agencies in existence. The IRS has the authority to access every U.S. financial entity in its mission to collect back taxes. The IRS can even penetrate the cloak of corporate anonymity to affix personal liability to its officers, with the ultimate authority to decide just who is responsible. apply an outright levy, which freezes cash, securities and investment accounts, and seizes whatever property the taxpayer holds for sale to pay the tax debt, including a significant portion of a taxpayer’s paycheck. The IRS files a lien notice at the taxpayer’s local courthouse. An IRS lien is like an 800-pound gorilla: it acts as official notification that the IRS has first dibs on the taxpayer’s property. Third parties who are entangled within an IRS lien or levy — bank officers, employers, insurance brokers for permanent life insurance policies sold to the taxpayer — have absolutely no choice but to comply with IRS legal sanctions on the delinquent taxpayer. Obviously, paying income taxes on time — or later with penalties — will forestall IRS liens and levies. The IRS auditor works under the premise that if the taxpayer has assets and owes taxes, and that tax debt takes precedence over any natural desire to preserve wealth. On the other hand, for taxpayers who are in dire financial straits, there are options in getting out of tax debt. However, those options never include trying to stonewall the IRS, because time is definitely not on the taxpayer’s side. A formal notification process begins once the IRS determines that a taxpayer owes back taxes. It takes about six weeks from the first formal notification until the final notice is issued. At that point, the taxpayer has 30 days to appeal. Once a lien or levy has been issued, the IRS has provisions to lift or remove them. Each provision has the goal of freeing up the taxpayer’s assets to make it easier to pay off the debt. An experienced attorney can apply for a time payment plan to settle delinquent tax debts in manageable monthly installment payments. The IRS favors direct bank debits, but taxpayers may also mail in paper checks or money orders. Another option is an IRS Offer in Compromise, which, allows taxpayers to settle their delinquent tax bills by paying only a portion of what they owe. As you might imagine, there are strict eligibility requirements to qualify. The bottom line is that taxpayers must be able to demonstrate substantial financial hardship for the IRS to accept an Offer in Compromise. It’s easy to become overwhelmed when attempting to navigate complex IRS regulations, voluminous and confusing instruction booklets and forms on your own. Owing money to the IRS can be a confusing and intimidating thing. It is hard to know what you’re supposed to do to settle that tax debt. 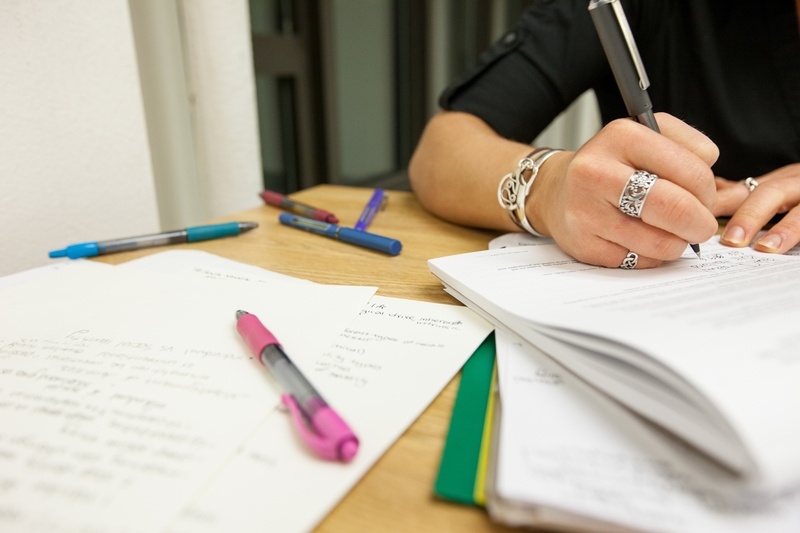 Especially if you are faced with the immediate threat of a levy, or wish to negotiate an offer of compromise, it’s wise to seek professional help. That’s where Optima Tax Relief comes in. 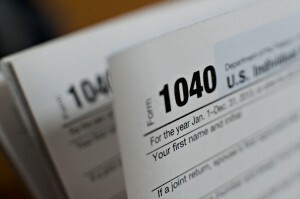 At Optima Tax Relief, it’s our job to be in your corner, helping you to eliminate IRS tax debt. We actually work with the IRS and the state authorities every day on behalf of our clients, and we use our knowledge to benefit you. From day one, our experienced staff is prepared to offer representation to provide you with full legal protection while we negotiate on your behalf. Further, we are able to help you understand what you should — and shouldn’t — say to the IRS. Your tax issues are not too big or too small for us. If you need help or have questions about preparing your tax paperwork, we can help you. If you’re facing liens, levies, wage garnishments, criminal action or other penalties, we can help you with that as well. And if you need someone to negotiate on your behalf or to represent you before auditors or revenue officers, we are prepared to do so fearlessly. Now is the time to rely on the experience and dedication offered by Optima Tax Relief. Contact us today for more information on how you can settle your tax debt. What Is an IRS Administrative Appeal? If you’ve been hit with an assessment from the IRS, for instance, as the result of an audit and you disagree with the results, you are entitled to present your case in Tax Court. However, an IRS administrative appeal may produce desirable results without the need to go to court. As a taxpayer, you are entitled to dispute the results of an IRS assessment through the administrative appeal process for any reason other than religious, moral or political, conscientious objections. The professionals at Optima Tax Relief can determine whether an administrative appeal is the right course for your situation. The IRS Appeals division operates as a separate entity from IRS offices that conduct investigations. The two types of administrative appeals available are Collections Appeal Process (CAP) or Collections Due Process (CDP) hearings. Administrative appeal hearings may be conducted by mail, telephone or in person. You may represent yourself or be represented by an accountant, attorney or individual enrolled to practice before the IRS. If your tax return was prepared by a third party who is not enrolled with the IRS, he or she may be a witness, but may not represent you. For assessments resulting from an audit of less than $2,500, you may approach the auditor directly or submit your request through the appeals system. Protests involving assessments of less than $25,000 may be submitted as a Small Case Request. Use Form 12203 – Request for Appeals Review, available from the IRS website, or the form referenced by your assessment. You may substitute a written statement including the items to which you disagree and your reasons for disagreement. Assessments of $25,000 or more require a Formal Written Protest including all of the following items. Your name, address, and a daytime telephone number. A statement of intent to appeal the IRS findings to the Office of Appeals. A copy of the letter showing the proposed assessment. The tax period(s) or year(s) involved. A detailed description of each item with which you disagree. The reason(s) for your disagreement for each item. Facts supporting your position for each item. Any law or legal authority that supports your position on each item. Your signature beneath the penalties of perjury statement. A statement of personal knowledge of stated facts in the protest and accompanying documents and a declaration that the facts are true and correct. After submitting your request for administrative review, you generally have at least 60 days to prepare for the hearing. Draft a rough outline of the information you wish to include in your presentation. Categorize any other relevant information in spreadsheets or in visual displays, with separate folders for each item. It’s wise to request a copy of the auditor’s file under the Freedom of Information Act (FOIA) immediately; FOIA requests can take at least a month to process. The letter should cover all relevant tax years and provide an offer to cover copying costs. Send the letter by certified mail or other traceable means. The hearing itself will be fairly informal. You are entitled to take notes or record the hearing if you wish. Be prepared for requests for further information. If that happens, don’t hesitate to ask for more time. If you reach a verbal settlement during the hearing, the settlement will be transcribed onto IRS Form 870 – Waiver of Restrictions on Assessment and Collection of Deficiency in Tax and Acceptance of Overassessment, which can require months to show up in the mail. Double check all the figures and do not sign the form unless you understand and agree with everything contained within it. The professionals at Optima Tax Relief can address any questions you may have regarding this process. Likewise, do not sign the form if you’ve found other mistakes by the auditor or appeals officer. Once you sign the form, you are barred from making further appeal to the Tax Court. The administrative review process can be daunting, but the odds of winning your case are very good. Investopedia reports that according to at least one edition of the book Stand Up to the IRS, published by legal portal Nolo, claims that taxpayers who appeal their audits have their assessments reduced by an average of 40 percent. With Optima Tax Relief on your side, you have a good chance of achieving favorable results, too. A tax lien, not to be confused with a tax levy, is a hold that the IRS places against some or all your assets. By doing so, the IRS is attempting to ensure that it receives payment for the unpaid taxes that you owe. But there are five circumstances by which taxpayers can potentially avoid an IRS tax lien. A tax professional like those from Optima Tax Relief can help you determine the best method to avoid a tax lien or a more serious tax levy. If you can afford to pay the taxes that you owe in full, you can stop an IRS lien in its tracks. The IRS allows you to make payments directly from your bank account or by debit or credit card through a third-party processing service. You may also use the Electronic Federal Tax Payment System (EFTPS) to make a secure electronic payment. Or you may go the low-tech route and mail a check or money order, or deliver your payment in person to your local IRS office. If you cannot pay your entire tax balance in full, but owe less than $10,000, you may still avoid a tax lien. By entering into a Guaranteed Installment Agreement, you set an agreement by which the IRS will receive your entire tax balance due in monthly installment payments. The amount of each monthly payment and the length of the entire installment agreement vary according to how much tax you owe. If you owe between $10,000 and $25,000 in unpaid taxes, you can still avoid a tax lien from the IRS. A Streamlined Installment Agreement works much the same way as a Guaranteed Installment Agreement. The end result is the same; you eventually pay your entire amount that you owe in federal income taxes. If you owe more than $25,000 in back taxes to the IRS, you must pay down your balance to less than $25,000 to avoid a federal tax lien. This payment must take place before a lien is imposed. Once your unpaid tax balance is below $25,000, you may enter into a Streamlined Installment Agreement. If you can only afford to pay a portion of your back federal taxes, you may still avoid a tax lien by filing an Offer in Compromise. If accepted, an Offer in Compromise allows you to settle your tax obligation with the IRS for less than the total federal taxes owed. But you should be forewarned: the IRS is stringent about accepting Offers in Compromise. The process for reviewing Offer in Compromise applications can be lengthy. There is also no guarantee that the IRS would not impose a tax lien while you are waiting for a decision on your Offer in Compromise application. A new tax lien policy recently approved by the IRS gives hope to many taxpayers plagued by the stigmas long attached to their negative credit reports. In this article, we’ll discuss how to remove tax lien from credit reports. It’s a well-known fact that federal tax liens have a habit of sticking around on credit reports like the inevitable albatross around debtors’ necks for the entire time it takes to pay off the loan, plus an additional seven year penance (thank you Fair Credit Reporting Act!). Purgatory some may say, others indentured servitude, but the awful reality is they have been here to stay, no matter what way one looks at it. Enter the new policy recently passed, announcing that federal tax liens are now approved for removal and will be erased from credit reports faster than any other detrimental issue. How? The process by which the IRS has termed “withdrawal.” Withdrawal occurs when the taxpayer’s lien is paid in full, OR the taxpayer signs up for a payment program that is scheduled for periodic installments until the account is up to date and closed. How To Remove Tax Liens From Credit Reports? Either of these scenarios can now result in the IRS formally withdrawing a tax lien, along with the stigma mark on one’s credit report. In order to achieve this, the taxpayer must make a formal request to the IRS (using IRS Form 12277, also known as Application for Withdrawal of Filed Form 668(y), Notice of Federal Lien). Once this request is filed, the IRS will return a form 10916(c), which is the magic word to open the door to cleared credit. It is important to note that this new policy does not include tax liens held at the state levels. These liens will still be evident on your credit reports. Also not subject to complete withdrawal are tax settlements. Such settlements, commonly called “offers in compromise,” are present when a taxpayer and the IRS settle on terms of a lien where less than what is actually owed is considered adequate payment. Due to this not being an exact repayment in full, the IRS grants what they call a “release” rather than an actual withdrawal. As such, unfortunately, the credit report will still show such releases for a full seven years after the date paid. On all counts, it seems that this new policy is a win-win situation. The IRS benefits because debtors who may have normally attempted to settle their debts may now be more willing to step up to the plate to pay, since now such actions could help their credit. The taxpayers, obviously, reap the reward of having not having a black cloud of doom hanging over their credit reports when applying for credit in the future. One of the near-casualties of the Fiscal Cliff earlier this year was the Mortgage Debt Forgiveness Relief Act, which expired on December 31st, 2012. However, on January 3rd, 2013, President Obama signed The American Taxpayer Relief Act, which extended the deadline of the Mortgage Debt Forgiveness Relief Act one more year to December 31st, 2013. The Mortgage Debt Forgiveness Relief Act was originally enacted in 2007 to accommodate the rising number of homeowners who had to do short sales as a result of the housing crisis. A short sale occurs when a lender allows the homeowner to sell their home at a price that is lower than what is owed on the mortgage. The difference between the amount owed and the sales price is “forgiven” by the lender. As with most forms of debt relief, the amount forgiven by the lender has been historically treated as taxable income by the IRS (adding insult to injury for the home seller). When the housing crisis began to unfold, Congress and the Legislature decided not to consider canceled housing debt as income. This applied to canceled debt from foreclosure, the refinancing of a home loan or the short sale of a primary residence up to $2 million. The California state law providing more relief, the Mortgage Debt Forgiveness Relief Act of 2007, expired at the end of 2012. This excluded up to $500K from taxable income in the form of debt forgiveness. In California, AB 42, a bill that seeks to extend state tax relief for mortgage debt forgiveness was presented by Assemblyman Henry Perea, D-Fresno earlier this month. AB 42 would mirror the federal law and extend state income tax relief for debt forgiveness up until the end of 2013. 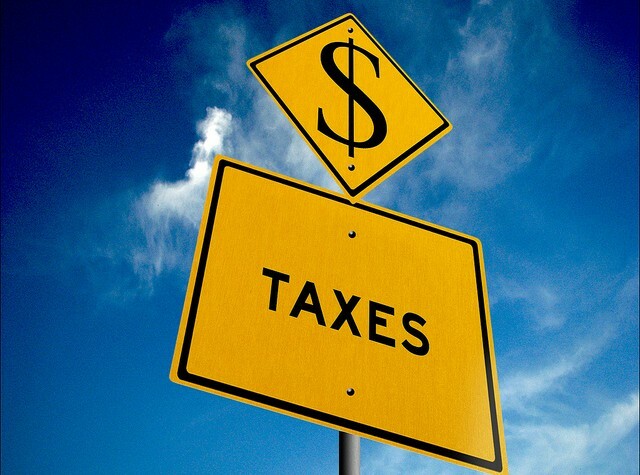 The Franchise Tax Board estimated the local impact to be a $50 million reduction in state income tax for 2013. Since California’s mortgage debt forgiveness bill could affect state revenues, the measure was set aside until further analysis could take place regarding next year’s budget projections. Brenda Harjala is a staff writer for Optima Tax Relief. Her mission is to help consumers stay financially savvy, and save some money with tax relief. Is Your State Making a Big Tax Change? Unless you’ve been living under a rock, you know it’s tax time. This season, while you’re gathering up your papers and receipts and your W-2s, DailyFinance is reporting that eight states either already have passed or could soon be passing changes to their state income tax codes. In the sunny state of California, the approval of Proposition 30 ushered in two different tax increases. The first is a quarter-percentage-point increase in sales tax, along with an income-tax increase for taxpayers who file as single and make more than $250,000, and for joint filers making $500,000 or more. An additional 1 to 3 percentage points will be added to the existing top tax bracket through 2018. This year the top tax bracket has been reduced from 6.45% to 4.9% in Kansas. The law also eliminates income taxes on small business income for hundreds of thousands of businesses. Although it hasn’t passed yet, Governor Bobby Jindal’s tax swap would get rid of the state’s income and corporate taxes in exchange for higher sales taxes. In a law effective for the 2012 tax year, new tax rates on high-income residents means higher taxes for single filers making more than $100,000 and for joint filers making $150,000 or more. A proposed new tax plan for the state would boost the income tax rate one percentage point to 6.25% but lower sales taxes from 6.25% to 4.5%. Governor Mark Dayton of Minnesota is attempting to raise the state income tax rate in order to lower sales and property taxes. The lack of support Gov. Dayton has received for his proposal has many thinking he’ll drop parts, if not all, of his tax reform plan. The great state of Nebraska would like to get rid of its income tax entirely, thank you very much. Gov. Dave Heineman has said he would scale back sales-tax exemptions to finance the reduction in income-tax. In North Carolina, legislators would also like to see the state’s income tax eliminated in order to keep them competitive for individuals and businesses that may be looking to relocate. The post Is Your State Making a Big Tax Change? appeared first on SuperMoney!. File every quarter of the year. This is a commonly known requirement when it comes to being an independent contractor. Many self employed individuals and businesses have to pay every three months of the calendar year to avoid penalties. Whether you are required to or not, it is smart to do this not only to avoid fees but as a way to stay organized and on top of your taxes. Make sure you deduct enough from your paycheck. This is something that many independent contracts do not anticipate when they start taking out taxes from their paycheck. It is a general rule of thumb to take out 30% of your check for taxes and the like so that you are covered no matter how much your taxes comes out to. This will keep you safe once tax time rolls around. If all else fails, file for an extension. This should be a last ditch effort, but filing for a tax extension that elapses in October is a great way to buy time so you can save the money that you did not have in April. This should not be done all the time but is a good way to get a little extra help when your back is to the wall. If you are interested in getting more tax help, please contact us. The post Who to Turn to When You Have Tax Problems As An Independent Contractor appeared first on Debt America.